Welcome to the official LVL UP X-Ball Park page! 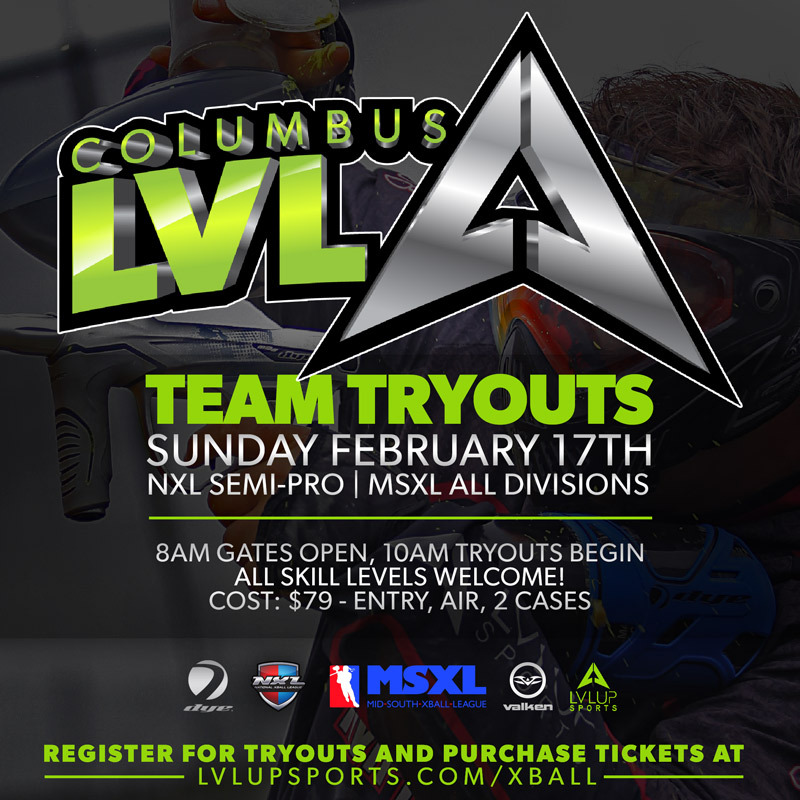 Here you can find the contact information for all of the teams that play out of LVL UP Sports in Columbus, Ohio. Our facility is perfect for players of all ages and experience levels, whether you’re an up-and-coming pro player or just looking to join your first paintball team, we’ve got a squad for you. Sundays at LVL UP are packed full of teams from all of the State / Midwest and from all ranges of experience levels. Gates open at 9am! Details: Semi-Pro NXL team on their journey to the Pro Division. Factory sponsored DYE Paintball Team shooting the best Valken Redemption Pro Paintballs at every event. Details: Local LVL UP team made up of players wanting to start playing regional events. Details: This team is a work in progress and will act as an entry-level team competing in Division 6 MSXL events.